El Dorado, ever hear of it? The city of gold. In 2000 Dream Works Animation released a cartoon movie title, “Road to El Dorado“. The movie was fun and followed our adventurers who discovered The city of Gold or El Dorado. One hero developed from a gold seeking sociopath into a hero and brought the other one along with him on his journey to self worth. 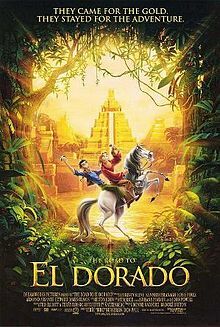 The movie played with the myth, that, El Dorado was in fact a city full of gold and people just living there lives. The myth of El Dorado seems to be a timeless one. However, in spite of its’ tmelessness and ubiquity I will definitely take this moment to pontificate a little (hey I gotta type something here, right?). So the myth goes like this: El Dorado Spanish conquistadors noticed, while engaging in the homogenization of Central America, noticed that there was gold in a river. A lot of gold. The conquistadors fabricated based on the gold in the river legends and myths about a Mayan city of gold. Then came the treasure hunters sacrificing live and limb for gold and riches beyond their wildest dreams. Many lessons and fables about greed and respect for others came from the mythology however in a recent article in BBC news it is evident that the city of gold was only a myth. The reason, according to the BBC article, for the gold in the river (and there was a lot of gold in the river) was, a tribal and religious ceremony. The gold was not, as assumed by the Spanish and yes to include Chris Columbus, of less significance to the Mayans, it was in fact very significant to the Mayans and just as precious to them as it was to the Spanish. The Spanish merely assumed that the gold was insignificant based on the fact that it was at the bottom of the river. This incorrect assumption lead to years wasted and a genocide of the Mayans. 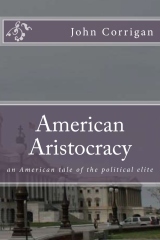 I am not trying to get political again or comment on hegemony ( I was political yesterday). I only want to mention El Dorado because I wonder, if the Spanish had taken time to get to know the Mayans and learn their rituals what would Latin America look like today. There is so much power in an education. With knowledge comes power, this is manifestly evident and yet we still everyday, make assumptions and jump to conclusions that can be and usually are not entirely true. The damage caused from making and acting on incorrect assumptions can be drastic and affect generations as well as ruin a legacy. See what it has done to the legacy of Chris Columbus. It is now known that the explorer Chris Columbus was a greedy villain.